It's impossible to miss the huge amount of Disney love that Warren Spector brings to bear on the Epic Mickey games. The celebrated game designer has been talking about how much he cherishes the world Walt Disney engineered ever since the run-up to the first Epic Mickey game. But this year he did more than talk. 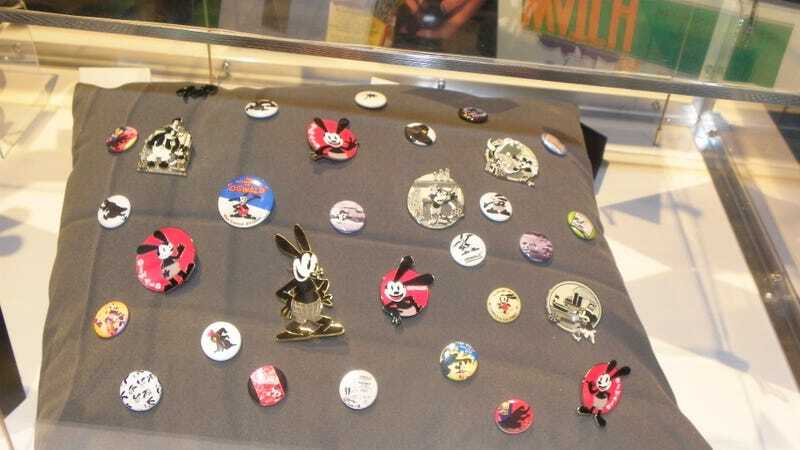 Spector actually brought his own memorabilia from the heyday of Oswald the Lucky Rabbit to the Disney booth for this year's E3. Some of the ephemera in the display cases comes from the Disney vaults, too, but a surprising amount of it says "From the collection of Warren Spector." If you thought that one of the men behind Deus Ex was just BSing about how much he digs the House of Mouse feast your eyes on the stuff he bought with his own cash. The pins, promotional material and 80-year-old toys remind you that Oswald, Mickey and their cohorts were the precursors to Mario, Sonic and the other iconic characters that the video game medium has spawned, long before consoles ever existed.